Sir Michael Terence Wogan is a famous British-Irish radio and TV personality. He was born in 1938 in the Irish city of Limerick. Leaving his banking career behind, he started a radio career as a newsreader and announcer at the national Irish broadcaster RTE (Raidió Telefis Éireann). He then moved to the BBC, where he spent most of his career. He really acquired popularity around 1972 when he hosted a humorous breakfast show on BBC Radio 2. From then on, Wogan became the centre of jokes, but he also demonstrated his talent for self-parody, as in The Floral Dance. In 1984, he interrupted his radio career to host TV programmes, but in 1993, he came back to BBC Radio 2 with a new breakfast show: Wake Up To Wogan (a.k.a. WUTW), which became very popular, reaching an 8,000,000-large audience. Beside the news bulletins, the programme mainly consisted of music and humorous interventions. 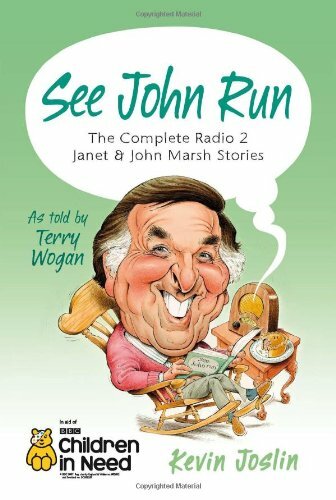 Wogan also read the so-called "John and Janet" stories, i.e. pastiche of children’s learn-to-read stories that were made funny by introducing subtle sexual puns and double-entendres. 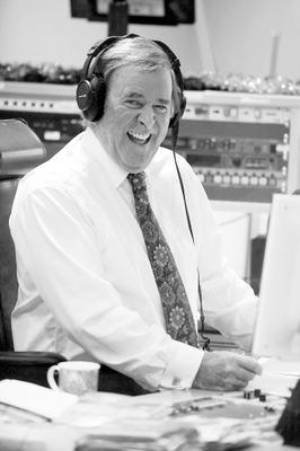 The show being perceived to attract old listeners, Terry Wogan developed a specific lexicon about it. He called his audience the TOGs, i.e. Terry’s Old Geezers or Gals, as opposed to the TYGs, i.e. the young innocent victims that were forced to listen to the show with their parents, on the radio or via the “togcast” (i.e the podcast), and he called himself the togmaster. 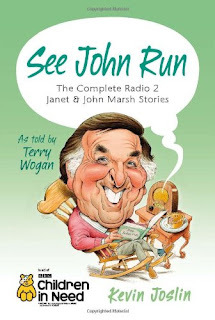 In 2009, Terry stopped hosting his breakfast programme and one year later, he started a Sunday show on Radio 2 called Weekend Wogan. Terry Wogan is also a famous TV personality. He started his career on the screen around 1980. 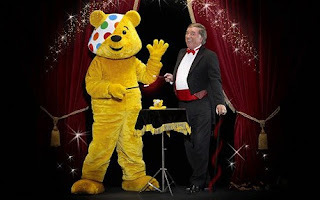 From then on, he has been presenting an annual telethon for the big charity appeal of Children in Need , in aid of British charities concerned with children. He is also well-known for having provided the BBC with commentary for the Eurovision Song Contest from 1973 to 2008. His sarcastic and cynical comments, even though appreciated by the British audience, have sometimes caused some contention. Wogan also presented a dozen times the UK Previews for this contest. The presenting of a few chat shows and of his own show called Wogan, thrice a week for 7 years can be added to the list of his television achievements. Wogan's presence in British homes through his voice on the radio and through his apparitions on the small screen makes of him a popular icon in Britain. As a result, he is often referred to in films, songs, plays and other works of popular culture. As a sign of his popularity, the Time published an Ode to Terry when he left WUTW. Moreover, he has recently been ranked 46 on the Telegraph's list of the 100 most powerful people in British culture. His talent has also been acknowledged more officially, for example by a lifetime achievement award at the British Comedy Awards in 2009. 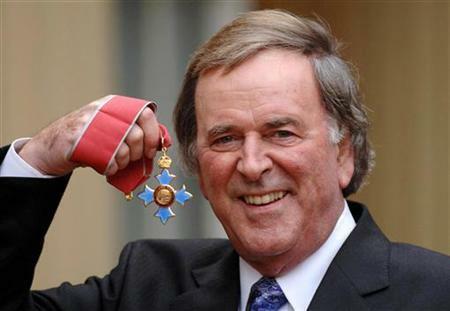 He was also bestowed knighthood by the Queen, a title which allows him to be called “Sir” Terry Wogan.